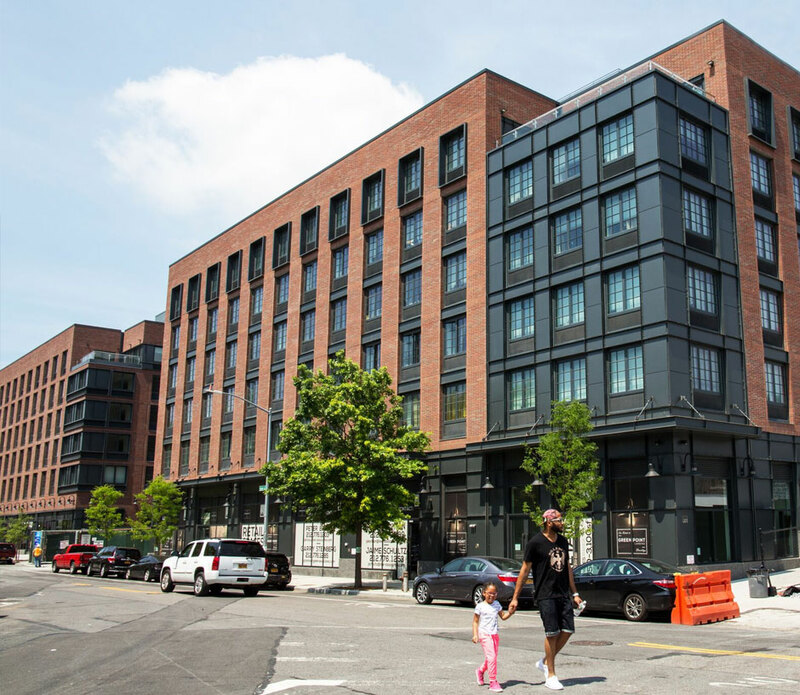 Greenpoint Landing represents the transformation of the Greenpoint waterfront from an industrial area to a thriving mixed-use neighborhood with mixed-income housing, retail and new public parks and green space. Located at 5 Blue Slip (F2), 7 Bell Slip (G2) and 33 Eagle Street (E3) in Greenpoint, Brooklyn, the G2 and E3 buildings provide affordable housing to the Greenpoint community. The G2 building is a 6-story, 89,000 square foot building that provides 92 units of low-income housing. The E3 building is a 7-story, 98,000 square foot building that will provide 98 units of mixed-income housing, and the F2 building is a 105,465 square foot building featuring 103 low-income units. All buildings include studio, one-bedroom and two-bedroom units. The buildings all have access to large, landscaped courtyards and the ground floor retail space anticipated to house small, local businesses. The winners of this year’s Building Brooklyn Award are featured, including Greenpoint Landing. L+M and partners were awarded a 2018 Building Brooklyn Award for the affordable residential project Greenpoint Landing. A lottery opened for 102 ultra-affordable units at 5 Blue Slip; the entire building will consist of affordable housing. Affordable Housing Deal Saves Taxpayer dollars.